ROBBINSVILLE, NJ - (April 1, 2015) - This was no April Fools' Day joke. 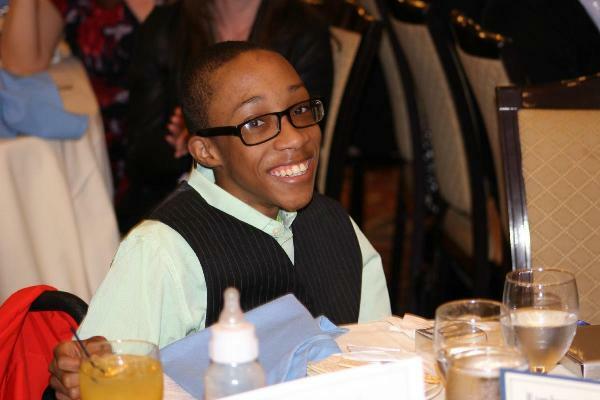 Robbinsville Mayor Dave Fried recognized the township's long and generous history of charitable service while honoring Pond Road Middle School student Immanuel "Trey'' Shepherd during a powerful 2015 State of the Township Address Wednesday night at the Hilton Garden Inn. The sold out event, which doubled as a fundraiser for the Shepherd family, raised more than $40,000 and the Shepherds drove home in a new wheelchair accessible Dodge van. The 13-year-old Shepherd also was presented with tickets to see the Philadelphia 76ers play his favorite team, the Miami Heat, April 15 at the Wells Fargo Center. PBA Local #344 also presented a $1,000 check to establish The Trey Shepherd Scholarship Fund in the name of Theresa Masseroni, the late and beloved wife of Robbinsville Chief of Police Martin P. Masseroni. "Every person, every group and every individual we asked to help said yes," Mayor Fried told the capacity crowd of over 200 guests, residents and dignitaries. "It's awe inspiring when you think about how you can make something like this happen. I knew it was bigger than me and bigger than anything we could understand. This community comes together. Every time I put out a call for help, our residents and community are able to respond." Diamond Sponsors included Sharbell Development Corp., Matrix Development Group, Amazon, First Choice Bank Hamilton Honda, Lifetree Church and Raajipo/BAPS. Jeannine Cimino, vice president of First Choice Bank, served as the evening's Master of Ceremonies. 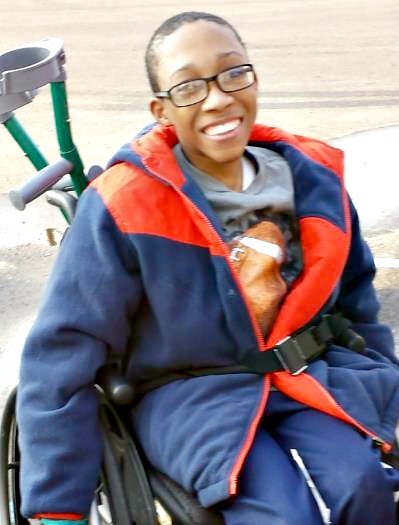 In 2014, Trey Shepherd was a semifinalist in a contest that awarded the winner a handicap accessible van as part of National Mobility Awareness Month. 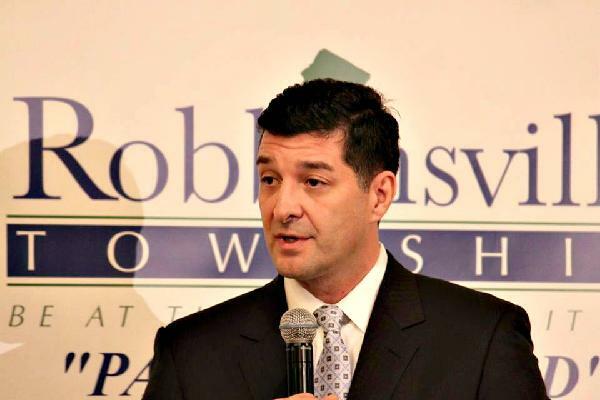 Despite an aggressive public relations effort and more than 7,100 votes from Robbinsville and surrounding communities, those efforts were unsuccessful. Since birth, Trey has battled Spina Bifida - a condition that causes the spine to not form correctly and leads to neurological damage to other areas of the body. He primarily uses a wheelchair for mobility, however the Shepherd family has experienced considerable financial hardship and do not have a vehicle capable of to safely transporting him. The family's numerous attempts to obtain such a vehicle on their own proved unsuccessful. Legacy Treatment Services, led by CEO Roy Leitstein, was the lead sponsor of this once in a lifetime event, although several local businesses and corporations also pledged their support. ONE Project, a Robbinsville-based non-profit, helped coordinate the effort. ONE Project last year raised more than $14,000 and packaged 40,000 meals as part of its Hunger Project. The organization's literacy campaign earlier this month collected over 2,200 books. In addition to recognizing and continuing to encourage others to "Pay it Forward'' to help the less fortunate, Mayor Fried touted a five-year average of flat budgets, the future development of Town Center South and Gordon Road recreation fields, the many challenges faced in redeveloping the Foxmoor Plaza, along with the successful re-launch of the Keep it Local Robbinsville campaign, among other topics. The Mayor and Township Council, each of whom was in attendance, also set aside $3 million to build the new municipal building on Route 33 next to investors Bank. Additional plans to construct a new police station and a court house also are in motion.